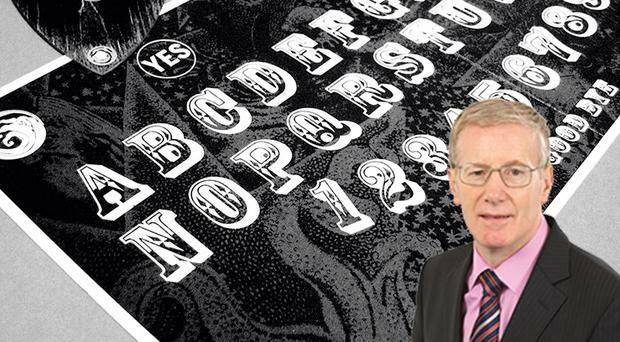 The DUP's Gregory Campbell has been told that the Government has no plans to regulate the sale of Ouija boards. The MP for East Londonderry asked the Secretary of State for Business, Innovation and Skills to regulate the sale of the 'spirit boards'. Responding to the question on Monday Liberal Democrat MP Jo Swinson from the department, said that the government has no plans to regulate the sale of the items. 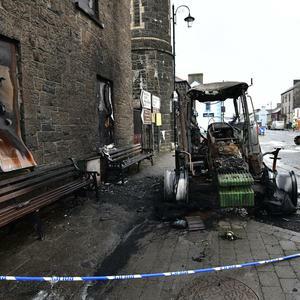 A DUP Spokesman said: "Mr Campbell was asked about the issue by a constituent and tabled the question on their behalf. "He has passed on the reply to his constituent for their information." The boards are usually a piece of wood with letters, numbers and a planchette that is supposed to indicate a spirit's message by spelling it out during a séance. It is not the first time that Ouija boards issue has arisen with DUP members. In the 2006 biography 'Iris: An Intimate Portrait' the DUP leader Peter Robinson and his wife Iris recall a time when they suspected their home was haunted leading to the discovery of a board in their attic. In the book by Lorraine Wylie, the First Minister's wife Iris recalls an inexplicable incident that sent the couple searching for a new home. Iris said: "We were renting a house at Lenaghan, one of Belfast's quiet, residential areas. From the moment we moved in, I hated the place. I really can't explain the atmosphere but it was definitely eerie. "I recall one time when I awoke to the sound of someone moving around downstairs. At first I just lay there listening. Then Peter wakened and, like me, he too heard the noise. We were certain there was an intruder." 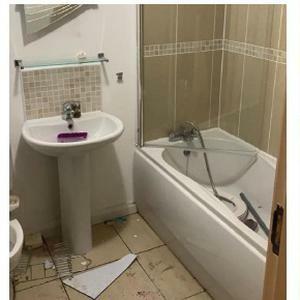 Mr Robinson continued the story: "I assumed we had a burglar. I grabbed a stool and went to investigate. To my amazement, there was no one there. A few days later friends visited and they also heard noises. Yet, after searching the place, we discovered nothing. "It was only when we were moving that we found things like Ouija boards in the attic. At some point the house had been a venue for occult practices. We were happy to leave." Meanwhile English singer Morrissey has come under fire after his show at Odyssey on Tuesday night mocked Margaret Thatcher and the Queen. However DUP members may have further reason to dislike the work of the ex-Smiths frontman. The video (below) for the 1989 single 'Ouija Board, Ouija Board' shows him playing with one of the devices while asking it to help him. The song caused some debate in the press at the time of its release over claims that it promoted the occult. Morrissey responded by saying: "The only contact I ever made with the dead was when I spoke to a journalist from The Sun." The Ouija board was a parlour game introduced by businessman Elijah Bond in 1890 when it was unrelated to the occult. The Ouija phenomenon is considered by the scientific community to be the result of the ideomotor response.